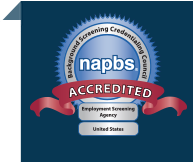 We often field questions about employment screening from our HR clients, and we want to take this opportunity to answer some of the more common and important ones. 1. What is the difference between a primary source search and a database search (mainly in the context of criminal records)? A national criminal records search may omit a critical jurisdiction (not all jurisdictions submit their records to a national database). Databases need to be updated and verified frequently; when they are not, information may be missing and misleading. Access to databases may be restricted for various reasons. In some cases, the databases are very well constructed, and they can provide excellent information but a database search should always be backed up by a search of the authoritative local source. 2. What is an employer required to do with respect to the distribution and follow up response to pre-adverse action and adverse action notices? This question is relevant when employers use information in a consumer report collected by a third-party Consumer Reporting Agency, like a background screening company, to take adverse action against an employee or applicant. In other words, if you are using a report provided by Proforma Screening Solutions or another background screening company and decide not to hire, promote, or retain the individual who was the subject of the background check, the Fair Credit Reporting Act (FCRA) stipulates that the subject of the report be notified in writing that the information in the background check may lead to adverse action. 3. How long am I supposed to keep each background check report before I can purge it from my records? The federal Fair Credit Reporting Act (FCRA) does not require an employer (end user) to retain a background check report for any specific time period. There are, however, a number of other factors to consider when adopting a background check report retention policy. Some of these requirements include: the FCRA statute of limitations (SOL); state FCRA SOLs; SOLs of other related federal and state laws (e.g., federal, state and local anti-discrimination laws); negligent hiring and negligent retention lawsuits. A statute of limitation (SOL) is the time period during which a lawsuit or enforcement action could be brought. The FCRA has two different SOLs. A lawsuit or enforcement action may be brought under the FCRA up to two years after the date of discovery by the plaintiff of the FCRA violation or five years after the date on which the FCRA violation occurs, whichever is earlier. In addition, some state FCRAs have their own SOL. Many attorneys suggest adding a minimum of one year to any SOL when considering a related record retention policy. Other laws related to a background check report have their own SOLs that should also be considered. For example, the Americans for Disabilities Act (ADA) and Title VII of the Civil Rights Act of 1964 (Title VII) each require a minimum of one year retention of records related to hiring decisions for companies of 15 or more, and two years for federal contractors. Some state anti-discrimination laws have different record retention requirements. In addition, employers should consider that a negligent hiring or negligent retention lawsuit can be brought against an employer for certain harm caused by an employee during their employment for the applicable state law SOL period, which typically runs from the date of the injury or harm caused by the employee who was negligently hired or retained. While these SOLs vary widely, potentially applicable SOLs are two years from the date of injury or harm. So, an applicant or employee or regulatory agency can sue you for an FCRA violation related to the background check report for up to five years from the date of the FCRA violation, and a plaintiff who was injured or harmed by your employee can typically sue you for up to two years from the date of injury or harm. As a result, many employers retain hired employees background check reports for three years (two years negligent hiring/retention SOL plus one year) from the date of employment termination, and non-hired applicants’ background check reports for six years (five year FCRA SOL plus one year) from the date of the no-hire decision. 4. What are ‘Ban the Box’ regulations and how do they impact the screening process? Many state and local jurisdictions across the United States have adopted a version of ‘Ban the Box.’ There is a lot of variation between jurisdictions in the exact terms of these statutes, but the core purpose is always the same. The laws prohibit employers from using a blanket exclusion rule based on applicants’ responses to a question about criminal background. For example, just because someone self discloses a felony conviction, he or she cannot be automatically excluded. Some Ban the Box statutes go on to require the use of “individualized assessments” when using criminal background to exclude an applicant. The individualized assessment (IA) concept is included in the Equal Employment Opportunity Commission’s compliance guidance for employers in using criminal background records in hiring decisions. The IA means that each applicant must be evaluated using criteria considering the nature and severity of the offense, the time passed since the conviction without intervening offenses, and the nature of the job. In other words, is the type of offense relevant to the job in question? As a rule of thumb, a negative criminal background check should trigger an individualized assessment if you want to use the report to exclude the applicant. The exclusion should be justifiable based on job-related and business necessity criteria. What is the average number of localities that a person lives in over the course of seven years? The answer depends on the person’s age, occupation, socio-economic status, and many other factors such as the quality of opportunities in different locations. In general, Americans are moving less often than they used to. According to the census bureau, about 11% of the population aged 15 and older moved between 2012 and 2013. Only 7% of wealthier people with income of $100K or more moved, while 13% of those earning $5K or less moved. Black and Hispanic households have lower incomes and net worth than white ones, and they are reported as moving more often. A common estimate is that the average American moves once every five years. That average is going down as Americans age, form two-person households (making job changes harder), and hold on to jobs longer when possible. If the average person moves once every five years, then he or she lives in two localities in seven years. However, it is important to note that “average” in this instance is almost certainly not a useful description given the variety of characteristics that affect moving. We are happy to answer questions about information you can use to make better decisions in the hiring process. Reach out and talk to an expert today. THE INFORMATION CONTAINED HEREIN IS GENERAL INFORMATION ONLY. IT IS NOT INTENDED TO APPLY TO ANY SPECIFIC EMPLOYER OR CIRCUMSTANCE AND IS NOT INTENDED AS LEGAL ADVICE OR OPINION. YOU SHOULD SEEK THE ADVICE AND OPINION OF YOUR LEGAL COUNSEL WITH RESPECT TO THE CREATION OR MAINTENANCE OF ANY POLICY OR PROCEDURE RELATED TO THE INFORMATION PROVIDED HEREIN.